It's rhubarb season and I LOVE rhubarb pie. 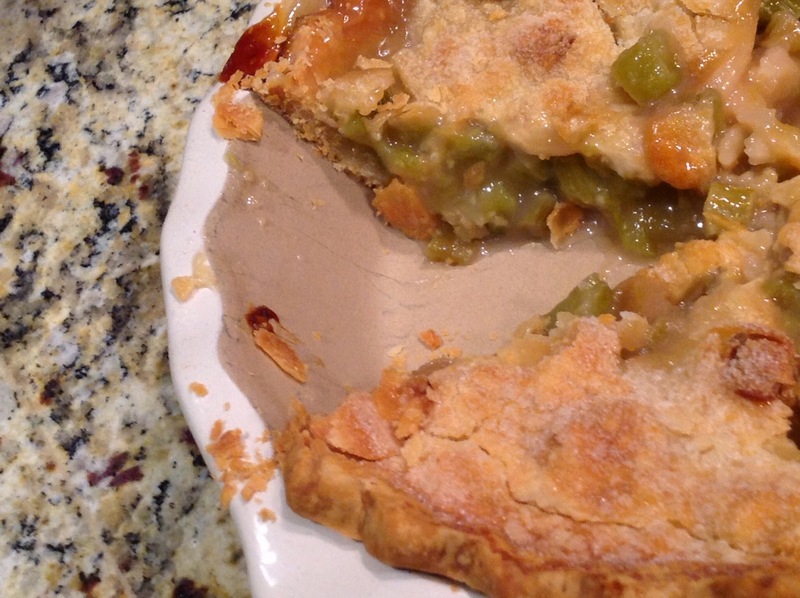 This rhubarb pie is easy, basic and so very good. 2. Mix above ingredients thoroughly in bowl except the butter. Pour into unbaked pie shell and dot with butter. Cover with top crust. Brush the top with cream (or milk) and sprinkle with sugar. Pierce with a knife to allow steam to escape. I also like to put foil under pie because it always drips. 3. Bake in preheated oven for 60 minutes. Bake on bottom rack, that way the bottom crust will get done and the top crust won'’t get too brown. Put foil under the pie as it always runs over and the foil will catch any spills. After the 60 minutes check and if not done put on middle rack and bake until golden about 10 more minutes. 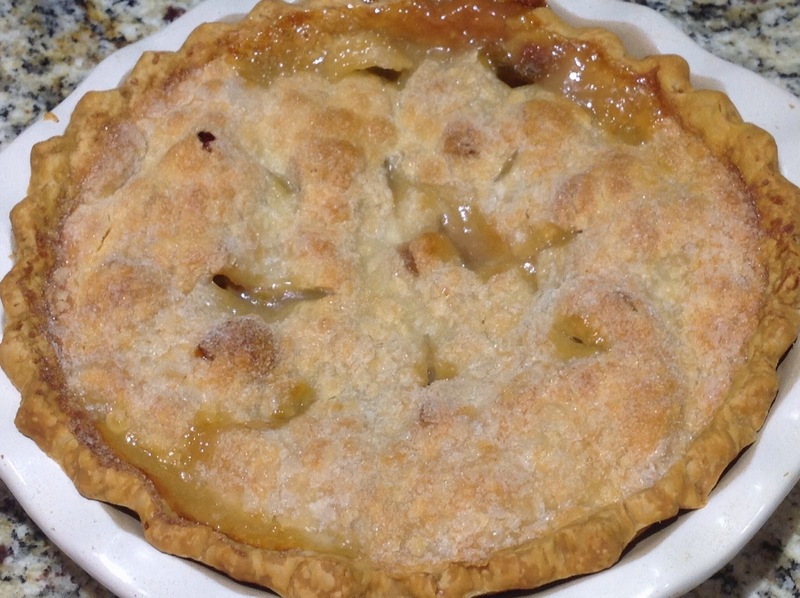 Allow pie to cool completely. If you are not patient (like me) and serve the pie warm it will be a little runny. 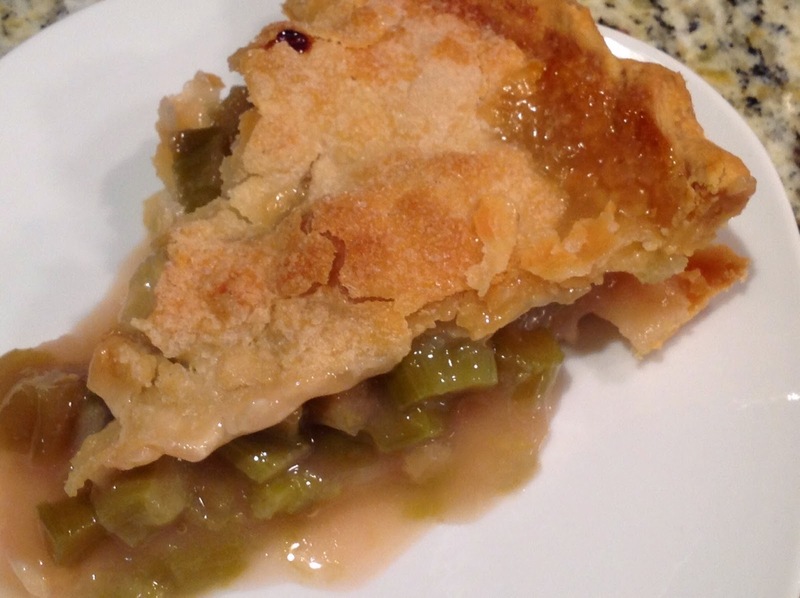 A scoop of vanilla ice cream on top and you have one great sweet tart rhubarb pie.